Cleveland is a town that loves to celebrate achievements in sports along with the venues that hosted them; Municipal Stadium, League Park, Richfield Coliseum. Nestled in a neighborhood in Beachwood is a place that looms just as large. Built in 1921, it's first championship, the Western Open in 1932, was won by the legendary Walter Hagen, who legend has it outplayed the competition playing the course sight unseen without the benefit of a practice round. Ben Hogan, Sam Snead, Byron Nelson, Gene Sarazen all played here as did Arnold Palmer many times starting as an amateur in the U.S. Coast Guard stationed in Cleveland. Ask Jack Nicklaus what his favorite golf picture is in his storied career and he'll tell you the win taken in 1973 on his way to winning the PGA Championship which broke the record for career major championship wins. The shot is one of his young son jumping into his arms after the third round. Canterbury is also one of the only places outside of Augusta, Georgia that you'll find a good Masters green jacket. "Henry Picard, whose in the Golf Hall of Fame, was our teaching pro for 23 years and he won the 1938 Masters," recalled current Club President Tim McCormick. "It's great to be a steward of the past but you always got to be looking forward to the future," McCormick said of the club's efforts to remain among the best in the country. "And I think this tournament does that." 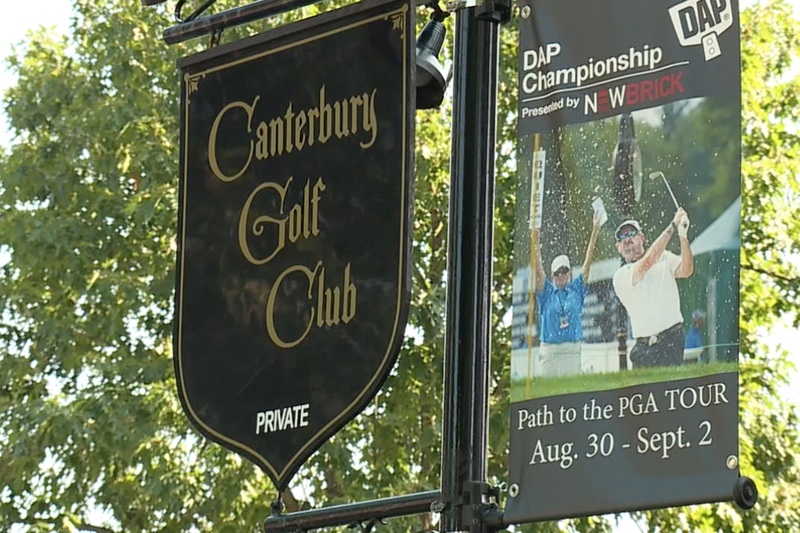 The tournament is this week's DAP Championship taking place at the course Thursday, Aug. 30 through Sept. 1,—an opportunity for players on the web.com tour to earn their PGA card. 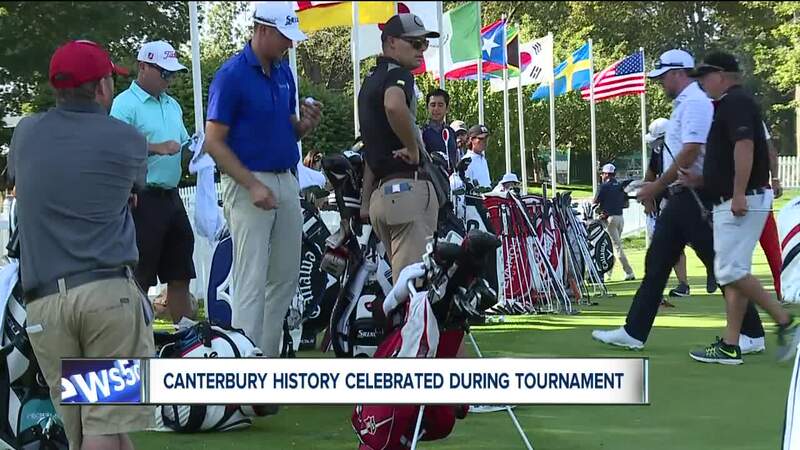 "Typically if you have a top five finish or better than you pretty much have locked up your tour card for next year," said Canterbury Head Golf Professional Bill McKinley. "There are 25 tour cards at stake just from the finals." "I like to think that this golf course is a major championship, a PGA tour test of golf that will really prepare them if they do in fact get to jump to the PGA tour," he said. "You know this golf course laid out by Herbert Strong in the 1920's is still challenging the best players in the world like he intended." Gates open to the public Thursday morning at 8 a.m. for the tournament. Parking is at Tri-C's Eastern campus off Harvard and Richmond roads, shuttle buses will be provided. Tournament tickets start at $20 which get you admission to the grounds for all four rounds of the tournament. Proceeds benefit the LeBron James Family Foundation, which has received $447,000 from the tournament over the last three years.